Gypsy Grove will be gifting its Byzantine Drop earrings to attending celebrities at GBK's 2018 Golden Globes Gift Lounge, in association with The Artisan Group. Gypsy Grove is pleased to announce it will be represented at GBK's Celebrity Gift Lounge honoring the 2018 Golden Globes nominees and presenters, in association with The Artisan Group. The invitation-only luxury gift lounge will be hosted by GBK Productions on January 5-6, 2018 at an exclusive location in Beverly Hills, California. All attending celebrities, select press and media, and other VIPs will receive Gypsy Grove's Byzantine Drop earrings in their gift bags. Meticulously handcrafted, one ring at a time, the gifted Byzantine Drop earrings were chosen for their simple, yet elegant, design. The earrings feature delicate Byzantine micro chainmaille and sparkling Swarovski crystals in various shades of blue, purple, pink, and red. Artisan and sole-proprietor, Laurie Martin-Gardner, stated, "I chose this design for its versatility. While simple enough to be worn everyday, these earrings are easily dressed up for any occasion. Their feather light construction from high quality aluminum means they are easy to wear all day and into the night." Gypsy Grove was founded in 2011 and is located in Haleyville, Alabama. Featuring a signature mix of classic simplicity and fantasy extravagance, Gypsy Grove has attracted clients from all over the world. 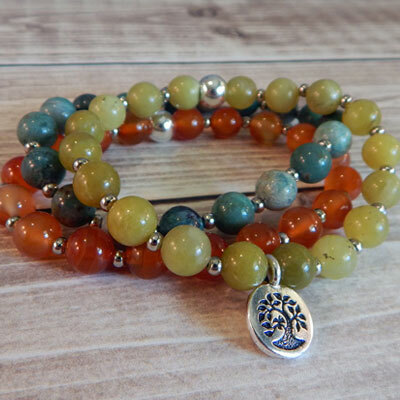 Handcrafted jewelry from Gypsy Grove has been gifted to members of the press and attending celebrities at previous gift lounges honoring the MTV Movie Awards and the Primetime Emmys. Jewelry crafted in the Grove is also under consideration to appear on several hit television series and was presented as gifts for award-winning Korean pop bands during their respective US tours. 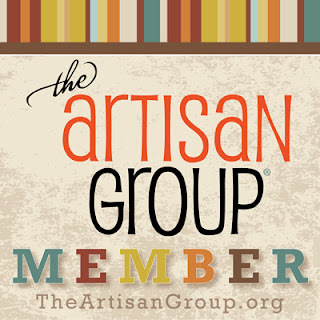 Gypsy Grove is a proud member of The Artisan Group, a premier entertainment marketing group dedicated to representing small business artisans at the finest celebrity gift lounges and press events. Membership in the arts promotion organization is by invitation only. To learn more about Gypsy Grove, contact Laurie Martin-Gardner by email at press@gypsygrove.com. Become a fan on Facebook (GypsyGrove), follow on Twitter (@GypsyGrove), and Instagram (gypsy_grove). Shop Gypsy Grove on Etsy at gypsygrove.etsy.com and visit gypsygrove.com for news and additional information. Gypsy Grove Brings Artisan Chainmaille Bracelets to GBK's 2016 Primetime Emmys Luxury Celebrity Gift Lounge. Gypsy Grove will be gifting its Vipera Berus bracelets to attending celebrities at GBK's 2016 Primetime Emmys Gift Lounge, in association with The Artisan Group. Gypsy Grove is pleased to announce it will be represented at GBK's Celebrity Gift Lounge honoring the 2016 Primetime Emmys nominees and presenters, in association with The Artisan Group. The invitation-only luxury gift lounge will be hosted by GBK Productions on September 16-17, 2016 at an exclusive location in Beverly Hills, California. All attending celebrities, select press and media, and other VIPs will receive Gypsy Grove's Vipera Berus bracelets in their gift bags. Entirely handcrafted, one ring at a time, the gifted Vipera Berus bracelets were chosen for their refined, unisex design. Artisan and sole proprietor, Laurie Martin-Gardner, stated, "It was my desire to gift an item that both men and women could enjoy and that would look beautiful for any occasion. The weave of these bracelets also strikes a delicate balance of showcasing the intricacies of chainmaille while maintaining a classic understated look." Gypsy Grove was founded in 2011 and is located in Haleyville, Alabama. Gypsy Grove's signature mix of classic simplicity and fantasy extravagance has attracted clients from all over the world and has been gifted to members of the press at a previous gift lounge honoring the MTV Movie Awards. Jewelry crafted in the Grove is also under consideration to appear on several hit television series and was presented as gifts for award-winning Korean pop bands U-KISS and Vixx during their respective US tours. To learn more about Gypsy Grove, contact Laurie Martin-Gardner by email at press@gypsygrove.com. Become a fan on Facebook (GypsyGrove), follow on Twitter (@GypsyGrove), and Instagram (gypsy_grove). 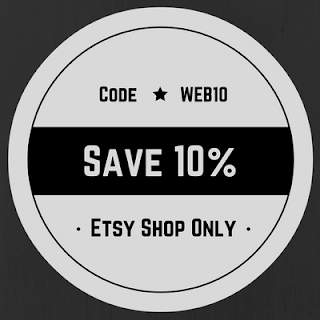 Shop Gypsy Grove on Etsy at gypsygrove.etsy com and visit gypsygrove.com for news and additional information. Gypsy Grove Brings Artisan Chainmaille Bracelets to GBK's 2015 MTV Movie Awards Luxury Celebrity Gift Lounge. Gypsy Grove will be gifting its Pearls and Maille Bracelets to attending press and media outlets at GBK's 2015 MTV Movie Awards Gift Lounge, in association with The Artisan Group®. Gypsy Grove is pleased to announce it will be represented at GBK's Gift Lounge honoring the 2015 MTV Movie Awards Nominees and Presenters, in association with The Artisan Group®. The invitation-only luxury gift lounge will be hosted by GBK Productions on April 10-11, 2015 at an exclusive location in Hollywood, California. The gifted Pearls and Maille Bracelets were crafted by Laurie Martin-Gardner, artisan and sole-proprietor of Gypsy Grove, using high quality aluminum and Swarovski pearls. The bracelets were gifted in five pearl colors: petrol, mystic black, Bordeaux, dark lapis, and blackberry. Each bracelet was designed to be adjustable to accommodate a wide range of wrist sizes. The design is bold, yet refined, pairing the edginess of chainmaille with the timeless elegance of pearls. Gypsy Grove was founded in 2011 and is located in Haleyville, Alabama. "When I began Gypsy Grove, I had no idea what an adventure it would become," remarked owner Laurie Martin-Gardner. Gypsy Grove has clients in several countries and is the exclusive jeweler of international author, Chantel Lysette. Gypsy Grove chainmaille bracelets were chosen as gifts for award-winning Korean pop bands U-KISS and Vixx and were presented during each band's respective U.S. tours. 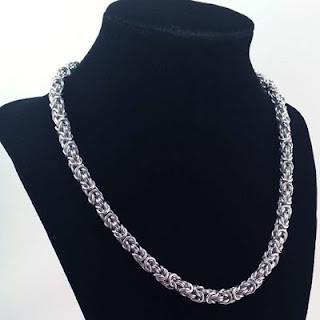 Through membership in the exclusive arts promotion organization, The Artisan Group, Gypsy Grove has gifted handcrafted chainmaille jewelry to the stylists of several hit television shows. Each piece gifted is currently under consideration for use in a future episode. The shows include The Vampire Diaries, Bones, Jane the Virgin, Cedar Cove, and The Fosters.